This is my entry for #music. I look at the photo that was published above and remember all the difficulties that my son had to overcome in order to achieve what he is doing today. 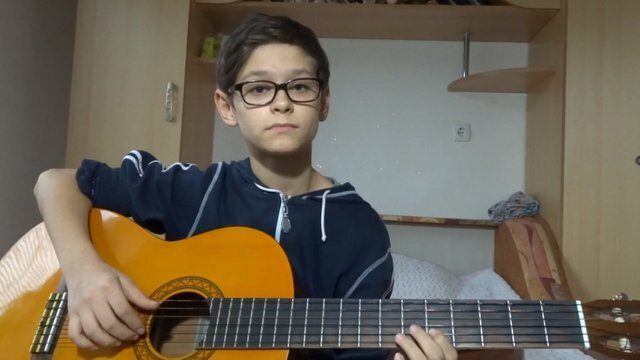 Now he is not just playing the guitar, he is playing an incomprehensible game with a guitar, they have found a common language that I don’t understand, but I like it.